Enter today to win a copy of the Michael Quinn short story Breakout! Our latest Goodreads Giveaway has started! Enter today for an opportunity to win an autographed print copy of the new Michael Quinn short story Breakout. 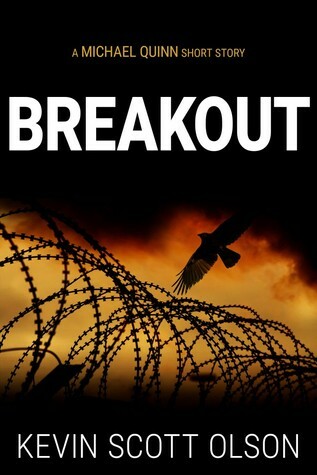 In Breakout, an American soldier, traveling alone in rural Mexico, is arrested and, without a hearing or trial, thrown into one of the country’s most notorious maximum-security prisons. 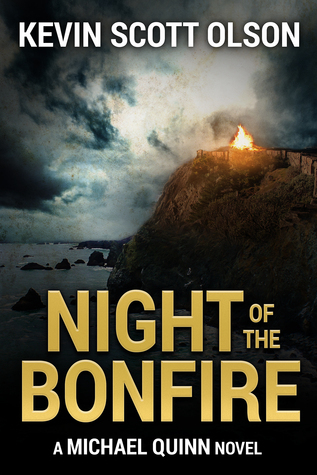 Enter Today to Win the Michael Quinn Novel Night of the Bonfire! Enter today for the opportunity to win your own autographed, print copy of Night of the Bonfire! We are giving away thirty autographed print copies through our latest Goodreads Giveaway. The giveaway begins today and ends at midnight on April 27. And what is Night of the Bonfire? This collection of essays will probably be read only by students of history, but its wisdom would benefit us all. The author, a Stanford professor and renowned scholar, examines the question of why wars exist: Why did wars occur in the past? The present? Most important, will they continue to exist in the future? With remarkable breadth of knowledge, Hanson reaches back to ancient times, to the Peloponnesian War between Greece and Sparta, then walks us through history—Caesar, Napoleon, the American Civil War, the World Wars of the twentieth century, the present-day war on terror—and draws correlations that provide us the answers. Night of the Bonfire 99 Cent Kindle SALE! One weekend only! Beginning today, and ending midnight Sunday, April 10, the Kindle edition of the novel Night of the Bonfire is on sale… for only 99 cents! Click here to get your 99 cent copy of this exciting novel! In the action-packed Breakout, an American soldier, traveling alone in rural Mexico, is arrested and, without a hearing or trial, thrown into one of the country’s most notorious maximum-security prisons. If the American’s true identity and mission are discovered, he will never leave Mexico alive. Michael Quinn’s assignment: rescue the imprisoned American before he receives a life sentence from the Mexican government…or a death sentence from the Mexican drug cartels. We are giving away thirty autographed print copies through our latest Goodreads Giveaway. The giveaway begins on March 10 and ends at midnight on March 17. Click here for your chance to win! One weekend only! Beginning today, and ending midnight Sunday, March 6, the Kindle edition of the novel Night of the Bonfire is on sale… for only 99 cents! Click here to get your 99 cent copy of this exciting novel! And what is Night of the Bonfire ? The action-packed Michael Quinn debut thriller that has received rave reviews worldwide, including Amazon, Kirkus and Goodreads! We are giving away thirty autographed print copies through our latest Goodreads Giveaway. The giveaway begins on January 29 and ends at midnight on February 6. Click here for your chance to win! Little noticed by the world media is the recent, mysterious disappearance of several prominent Hong Kong authors. Their crime? Daring to criticize China. So far, as the Wall Street Journal reports , five writers have vanished. All were living in Hong Kong, and all have published books criticizing Chinese leaders. All vanished without a trace…until a few days ago. Last Sunday, Chinese state television aired a video “confession” by one of the writers. Mr. Gui Minhai’s forced “confession”, complete with a humiliating recitation of previously non-existent offenses, could have come from a Stalin-era purge.